It's not the blue ribbons we crave - it's the green! It means you and your dog have "qualified" in one of the American Kennel Club (AKC) Companion Events: Obedience, Rally, or Agility. 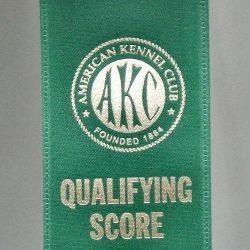 Generally speaking, in the complex and esoteric world of canine competition, three "qualifying" performances earn a title for your dog, a permanent record of the team that you and your dog have become. That title represents time spent together, building a team and a relationship and succeeding in the goals the human partner has set. Dogs don't care about the titles and ribbons - they care about spending time with their people and having fun. 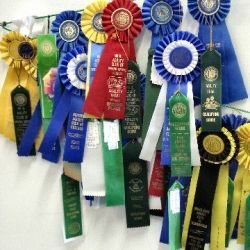 The elite in all these events are after the other-colored ribbons that represent placement: Blue for 1st, Red for 2nd, Yellow is 3rd, and White is 4th. I know that my dog and I are unlikely to reach that high echelon - but that's okay. There's a place for everybody in the companion events - everybody who wants to have fun with their dogs. Not cheap - but worth it! Acquiring green ribbons in companion events is a great hobby - but it's not a cheap one! 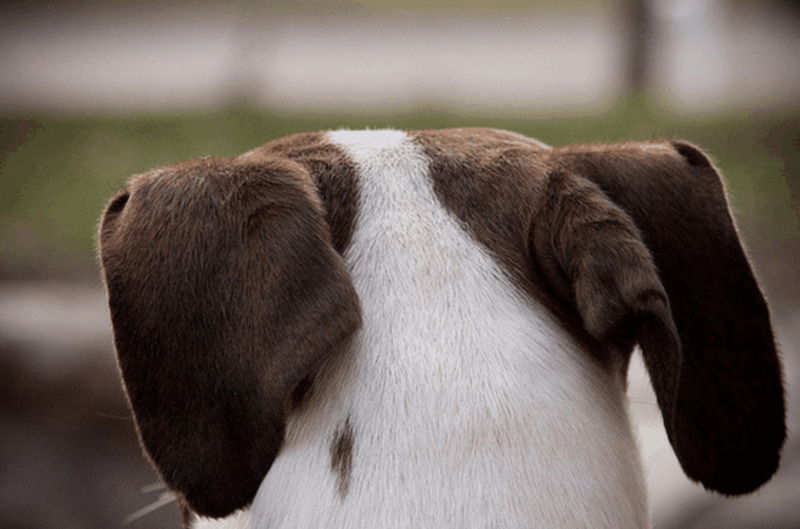 Aside from the cost of lessons and classes, entering Agility, Obedience, or Rally trials isn't cheap - and you only get one chance in each to get it right. Entry fees average from $18 to $25 per trial. 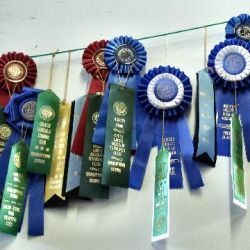 And, unfortunately, unless you're very, very good, or very, very lucky, you won't be getting one of those cherished green ribbons for every entry. 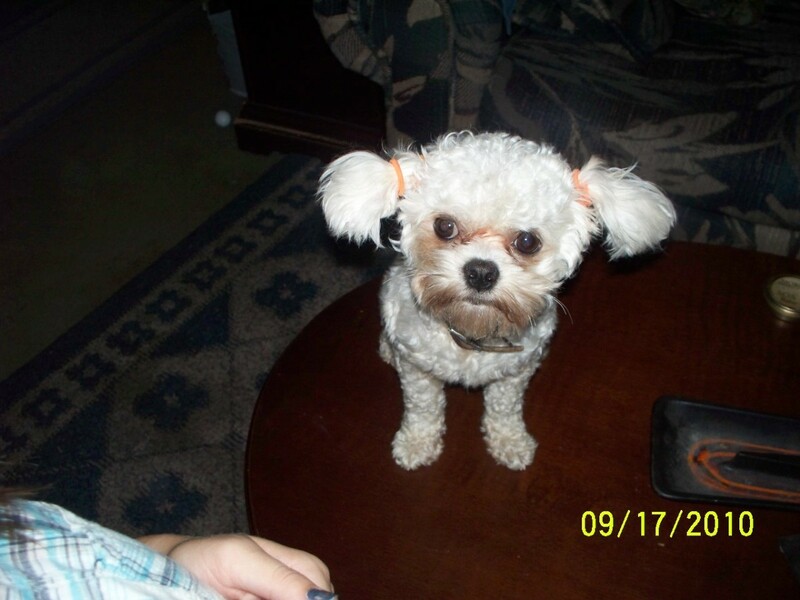 My first competition obedience dog was Roc, my 11-year-old Brussels Griffon. We kind of whizzed through the Novice (first) level of competition, and I thought the Open Level would be somewhat more challenging, but doable. Roc was terrific in practice and wonderful at fun matches (practice trials). But the boy got stage fright every time we entered in Open competition. We were 0 for 13 tries. I finally figured out that my boy wasn't cut out for the rigors of public performance, and he's a very happy couch potato now. 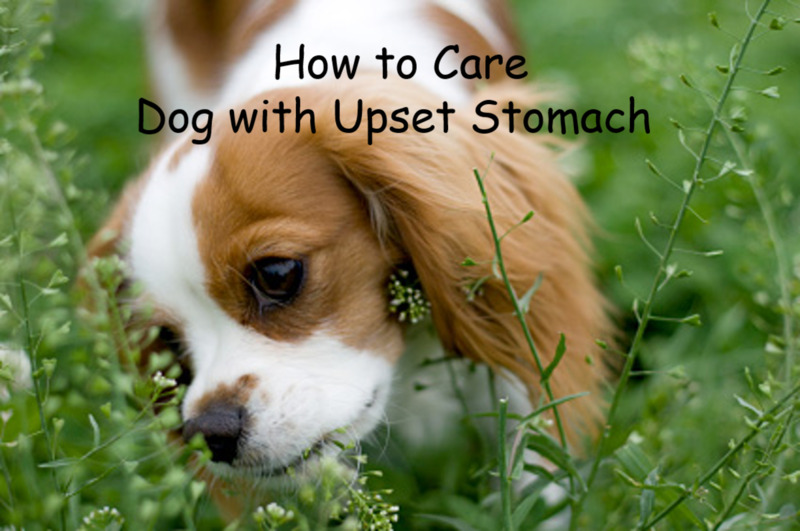 Have some fun with your dog! 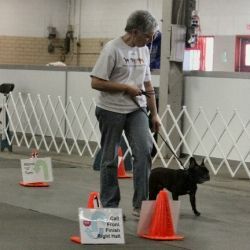 This is me and my French Bulldog girl Dax competing in Rally in Louisville, KY, one of the largest dog shows in the country, held in March each year. Dax developed arthritis, so it was time for her to stop agility competition. We had some fun in Rally Obedience. This was the exception that proved the rule - we competed just three times and qualified, earning those beautiful green ribbons, all three times! That gave Dax the AKC title of "Rally Novice" and puts more official letters after her registered name. Dax was known to the AKC as "Gargoyle's What a Trill, RN, NA, NAJ"
The NA is "Novice Agility." NAJ is "Novice Agility Jumper"
Sadly, my Dax died late in 2013 - these photos and memories are even more precious now. Rally Obedience looks like fun! Some people have told me that watching Rally competition is like watching paint dry. I disagree! If you are familiar with the sport then you can see the beauty of the teamwork and how the handler/dog team works together to achieve success - and green ribbons! Agility is the fastest-growing of all the companion events - probably because it just looks like so much fun! I've been competing in Agility for a while now - with varied success. Dax was my first agility dog and, despite repeated attempts, never made it past the Novice level before arthritis made it wise for her to go on to less-strenuous activities. I've been competing with my youngest dog, Teddy, also a French Bulldog, for about 18 months now. He breezed through the Novice level (probably because I had so much practice at it with Dax), and the Open Level wasn't much more difficult. We're still learning our way in Excellent and having fun! We have two "legs" of the three we need for the Excellent title in both "Jumpers" and "Standard" Agility. And we hope to have more "legs" soon and move up to the highest, "Master" level of competition. Fingers crossed for more green! Agility is fast and furious! Have you celebrated with a green ribbon? It looks great fun - thanks for sharing this.